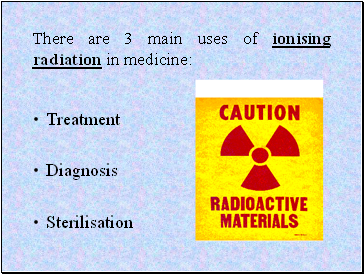 Describe one medical use of radiation based on the fact that that it can destroy cells (instrument sterilisation, treatment of cancer) (General level). 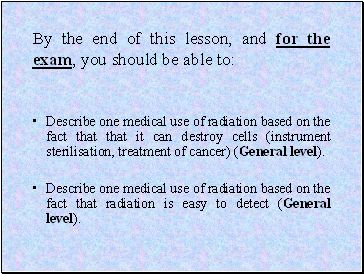 Describe one medical use of radiation based on the fact that radiation is easy to detect (General level). 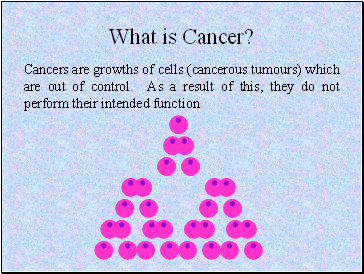 Cancers are growths of cells (cancerous tumours) which are out of control. As a result of this, they do not perform their intended function. 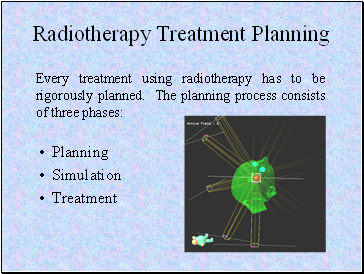 Radiation therapy (radiotherapy and brachytherapy). 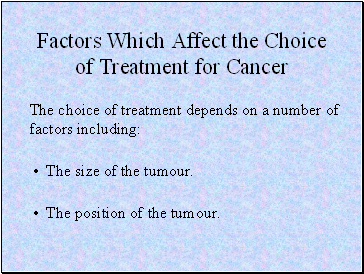 The position of the tumour. 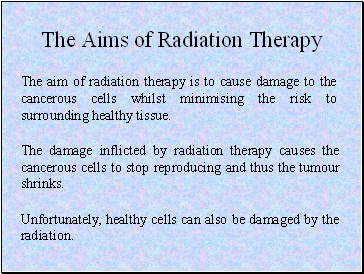 The aim of radiation therapy is to cause damage to the cancerous cells whilst minimising the risk to surrounding healthy tissue. 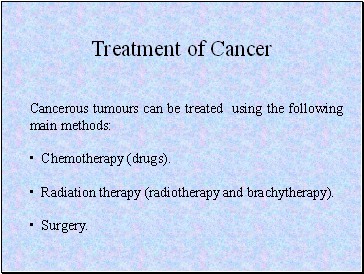 The damage inflicted by radiation therapy causes the cancerous cells to stop reproducing and thus the tumour shrinks. Unfortunately, healthy cells can also be damaged by the radiation. 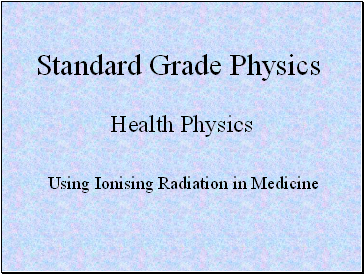 Why does the amount of radiation given to the patient have to be accurately calculated? 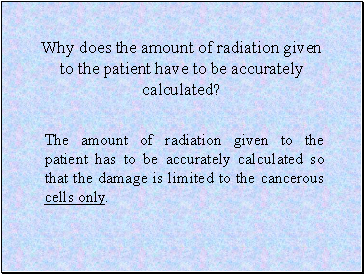 The amount of radiation given to the patient has to be accurately calculated so that the damage is limited to the cancerous cells only. 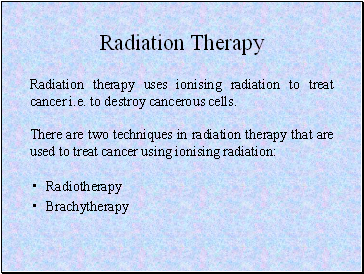 Radiation therapy uses ionising radiation to treat cancer i.e. to destroy cancerous cells. Why is a half-life of 6 hours important?